Content by Conran at Angela Reed Furniture - we are proud to be a stockist of Content by Conran, displaying many models in our showroom in Saffron Walden. 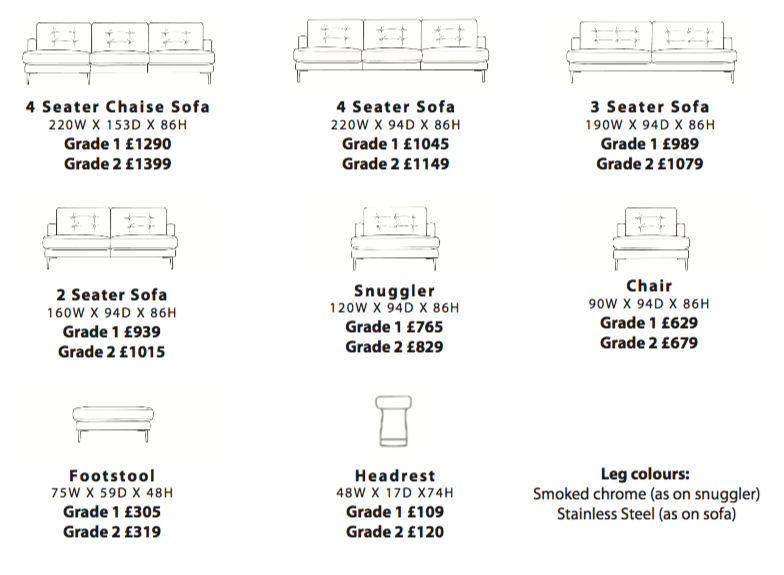 These sofas are handmade in the UK and a great build quality at a very reasonable price. 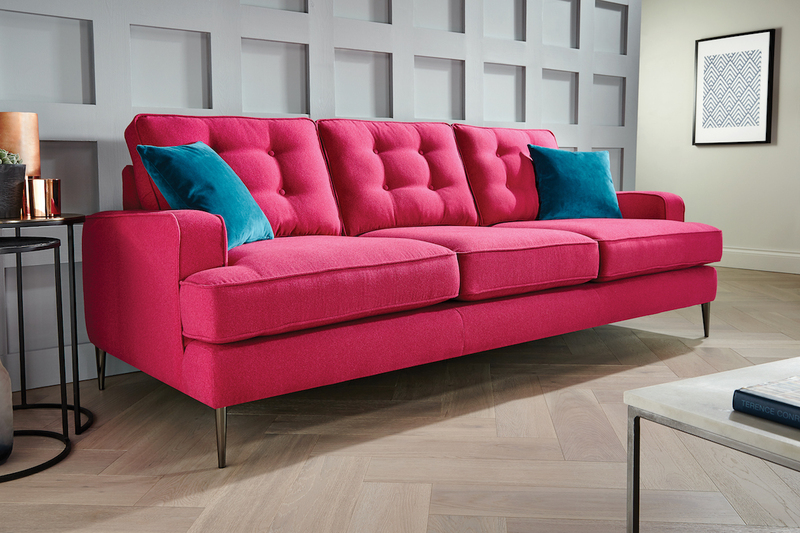 The Isla is a modern take on a mid-century style, and the button back cushions make it a great style statement. The sleek stainless steel pointed legs which come in two finishes, compliment the frame beautifully, and the additional bolster headrests make this sofa not only stunning to look at, but incredibly comfortable. The prices listed are promotional and should represent a large discount on those available elsewhere. These prices are held until April 2018. Our prices are kept as low as possible, often cheaper than the large high street chains. However in the unlikely event that you do find this product cheaper elsewhere then we will endeavour to match it. Please ask us for more information.